This site is a resource for anyone involved in medical and legal services. 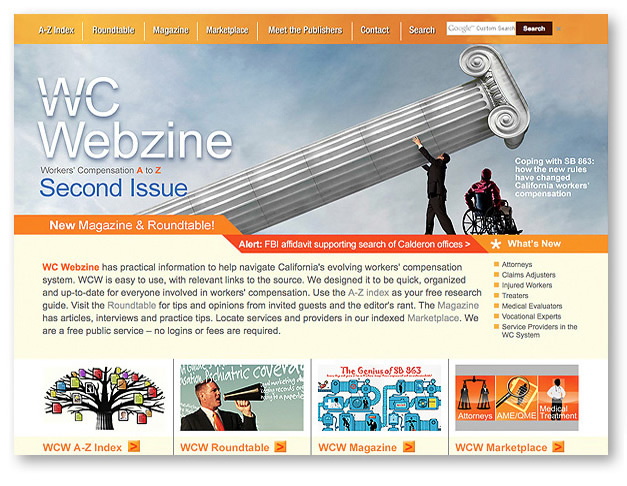 Designed around the needs of this audience, information is easy to access with an A to Z index, in-depth illustrated articles, a roundtable of diverse contributors discussing current issues and a marketplace for services. The site specializes in the California system, but has information that can help nationally.